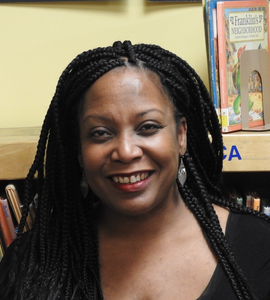 Today Stephanie Hartwell-Mandella, librarian at Katonah Village Library in Bedford, New York, was named a winner of the prestigious I Love My Librarian Award. Hartwell-Mandella was selected from a pool of more than 1,000 nominations and is recognized for her leadership in transforming lives and communities through education and lifelong learning. She is one of only 10 librarians in the U.S. selected for this year’s national honor.